""I hope you brought your sense of humor," Mimi Greeley said recently when a @nytimes reporter visited her apartment on East 72nd Street in Manhattan, where she lives alone. Mimi shops, cooks and cleans for herself. 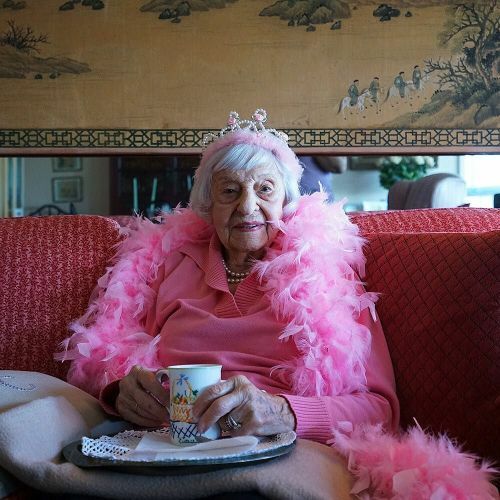 Ask about her health, and get this diagnosis: "Well, I can't whip my weight in wildcats, but I feel OK." Yesterday Mimi, a former @usarmy nurse from Pennsylvania, turned 100 years old. During World War II she served as a nurse in makeshift hospitals on South Pacific Islands, and then later again in New York, where she cared for a young senator named John F. Kennedy while he was hospitalized in the mid-1950s for back problems, she said. "Yes, I saw J.F.K. with no pants on," she said. "It was no big deal." (A hospital spokeswoman could not immediately confirm details from that era.) Visit the link in our profile to read more about Mimi, who was photographed by @bengiville. #🎉" By nytimes on Instagram.